Instant Pot is an extremely popular pressure cooker device and is one of Amazon’s top selling products. Instant Pot has become an internet sensation inspiring online Instant Pot communities and home chefs excited about sharing pressure cooker recipes. Although the Instant Pot Instructions for use boasts it has a safety feature that the lid cannot be opened under pressure, it has opened under pressure and caused severe injuries including severe and permanent burning and scarring. At Moll Law Group, our pressure cooker injury lawyers represent victims of defective products all around the country, and we can evaluate whether you have a viable claim. Billions of dollars have been recovered in the products liability lawsuits in which we have been involved. Despite the risks of an Instant Pot exploding, or its lid opening under pressure, there is no warnings to users. In fact, Instant Pot advises that the lid could not open under pressure. In 2015, both the Instant Pot Smart and the Instant Pot Smart 60 were recalled after there were at least three reports that consumers had suffered electrical burns. Half of the devices recalled were sold between fall 2014 and spring 2015. If you are burned or otherwise injured by an Instant Pot, you may bring a product liability lawsuit against the makers, manufacturers and distributors. The first step in a product liability lawsuit is for an attorney to investigate and determine whether the Instant Pot has an actionable defect, such as a marketing, manufacturing, or design defect. There are concerns that Instant Pot and other devices like it fail to prevent explosions even when used properly, that they were not designed, manufactured, or tested correctly, that the manufacturer failed to provide adequate warnings and instructions, and that the materials used are inappropriate. Many of these concerns relate to the possibility that various electric pressure cookers, including the Instant Pot, have design defects. Design defects are flaws in the design of a product. That means that even when a product is manufactured perfectly and used as intended, it is inherently dangerous. A manufacturer (if the manufacturer and the designer are the same entity) can be responsible for the design defect either if the product is unreasonably dangerous as it is designed or if the product is not safe for its intended and reasonably foreseeable use. In some jurisdictions, courts will consider whether there was a safer alternative design that would not ruin the usefulness of the product, and they may also consider whether the product warnings correctly explained how to use the product or warned against incorrect use. A design defect is different from a manufacturing defect, which involves a mistake in how the product is built. When there is a manufacturing defect, the product would be safe if it were built as it was designed, but some sort of flaw occurred while the product was being made. A marketing defect is a defect in the materials provided to the consumer about how to use the product and the possible dangers that the product may have. A common marketing defect is a failure to warn. If a claim against the Instant Pot manufacturer were based on a marketing defect, the court would likely look at the nature of the warnings provided by the manufacturer related to the proper use of the product. Money that may be recovered if liability can be established in a product liability case includes compensation for economic losses, such as medical bills and lost wages, as well as noneconomic losses, such as pain and suffering, disfigurement, scarring and disability. 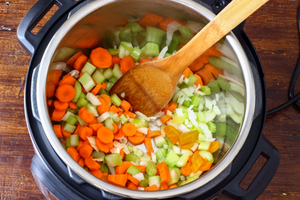 If you or a loved one suffered injuries due to an exploding Instant Pot or another pressure cooker, the personal injury lawyers at Moll Law Group can examine the facts and determine whether there may be a viable claim. Our firm pursues remedies for victims all over the country, including in states such as Illinois, California, Florida, New York, Texas, Pennsylvania, Ohio, and Michigan. You can call us at 312-462-1700 or contact us by completing our online form. We also represent people who have been harmed by other defective products, such as auto parts, contaminated food, toys, medical devices, and pharmaceuticals.